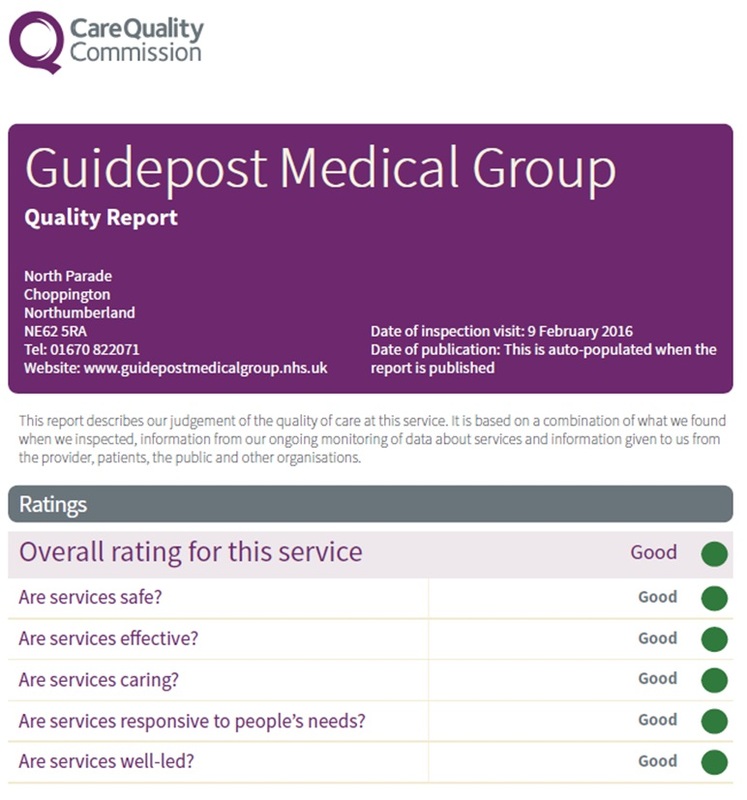 Guide Post Medical Group is an old established Bedlingtonshire practice which moved to its present premises in 1978. Our contract is with NHS England, from whom details of primary medical services in the area may be obtained. They can be contacted on 0333 014 2884. The practice has 6 doctors, including 3 partners, and currently has 8200 patients. We welcome registrations from patients within our practice boundary. Guide Post Medical Group is conveniently situated on several bus routes, and there is car parking for patients at the rear of the building. DISABLED ACCESS – We have a drop-off bay as well as designated parking bays and automatic doors to allow easy access to the building. All the consulting rooms are on the ground floor, and we have toilet facilities for the disabled. In keeping with government guidelines we work towards an appointment system that allows access to a doctor or nurse within 48hrs. At times of high demand we are not always able to meet this, however, we guarantee to see anyone the same day if the patient considers this to be necessary. Routine Appointments – Doctors and Nurse Practitioner appointments are available every day either as 10 minute same day appointments, or 10 minute pre-bookable appointments. A number of appointments are available to pre-book on-line. Urgent Appointments – The doctors have instructed the receptionists to question all requests for an urgent appointment. Anyone who genuinely needs to be seen urgently will be seen as soon as practicable on that day. 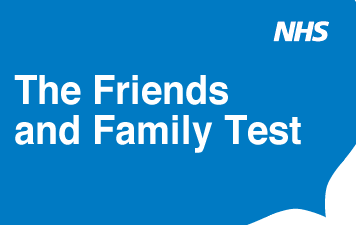 If there are no free appointments, you will be telephoned by a clinician who will assess your symptoms and make a decision on treatment. Telephone Advice – If you wish to speak to a practice nurse, the nurse will be informed of the contact and will telephone you as soon as possible. If you wish to speak to a doctor, the receptionist will take your contact details and brief details of the nature of the call. You will be advised that the doctor may not return the call on the same day, unless urgent. Home Visits – Home visits are only available for patients who are truly housebound because of illness or disability. It is the clinician’s responsibility to decide where the consultation should take place. Before requesting a home visit ask yourself if you really need a clinician to come out to your home or whether you could get to the surgery. If possible please try to telephone before 10 am stating you name and address and telephone number where you can be contacted, and the nature of the problem as this helps us to plan the order of the visits. A doctor or nurse may phone you back as it may be that your problem can be dealt with by telephone advice. Unfortunately, we cannot offer a visit by a clinician of your choice.